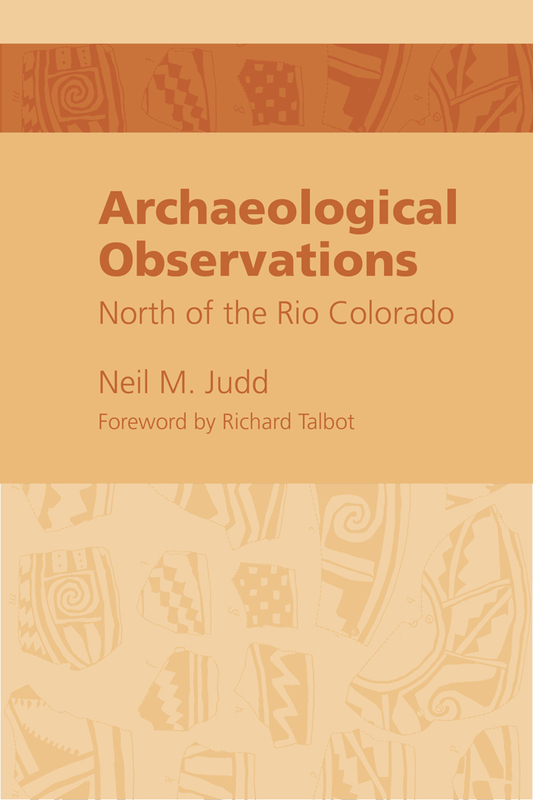 Archeological Observations North of the Rio Colorado was originally published in 1926 as part of the Smithsonian Institution’s Bureau of American Ethnology (Bulletin 82). It contains the report of six seasons of fieldwork undertaken by Neil M. Judd for the Bureau between 1915 and 1920 in western Utah and northwestern Arizona. The original investigation set out to examine alleged prehistoric sites near Beaver, Utah—specifically sites related to the “Pueblo ruins” found elsewhere in the Southwest. This in turn led to a much larger project, as there were more sites than expected recognized as having a cultural affinity with other prehistoric Puebloan sites. During these six years, Judd’s team covered a region from the Grand Canyon to the northern shore of the Great Salt Lake, east to the Green River and west into the deserts of Nevada. This book is part of the University of Utah Press’s ongoing effort to reprint selected out-of-print volumes that apply directly to Utah archaeology, in an attempt to allow current students easier access and use of historic information. Owing to continued development, increased artifact collection, and on-going degradation, Utah archaeology is far different today than it was a century ago. The scientific works of these early archaeologists provide a glimpse of the variability that existed within sites and geographic areas in the early 1900s and gives a picture of Utah archaeology in an earlier era. Neil M. Judd (1887-1976) was a pioneer of southwestern archaeology. He participated in 24 investigations and served 39 years at the United States National Museum, a unit of the Smithsonian Institution. He was the principle investigator during the excavations of Pueblo Bonito in Chaco Canyon. Richard Talbot is director of the Office of Public Archaeology at Brigham Young University.